We would like to congratulate Lewis Muldown, Joe Flounders & Daniel Spires who competed as part of the Wadokai England team. Results: Daniel – GOLD in Team Kata, Joe – SILVER in Kumite, Lewis – SILVER in Kata. Well done guys. 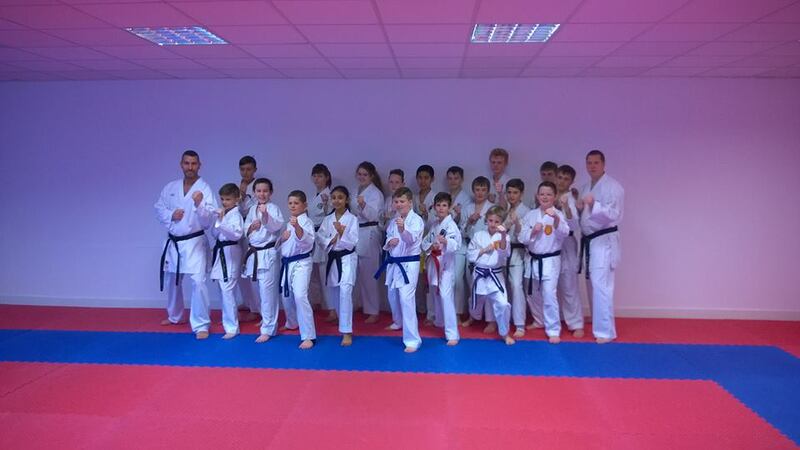 Those interested in trying for the England squad in 2015 need to speak to Sensei Carl or Amy ASAP. We were pleased once again to host the English Karate Federation Northern Squad training at our Dojo HQ. A number of fighters have no doubt been taking a well deserved break after a busy season so the attendance was a little down on the other sessions this year but the fighters were still put through their paces and given some fantastic coaching. We’re really looking forward to the next one! We’ve posted the results on this blog already and will add photos of the day asap. We are very pleased to be hosting a Wadokai England squad training session at our own Dojo HQ. It’s quite nice not having to travel to events sometimes. The course will be led by Sensei Lee Minion & Sensei Stennet Harvey and will count towards the 2015 squad selection attendance requirement. This session includes a Kumite session & a Kata session. Students can do one or both sessions for the same fee. I can’t emphasise how good an opportunity this is for all students to gain some valuable competition experience, please support the course if you can. We would like to invite all of our students (14yrs+), parents and friends to join us at the Owton Lodge for bite to eat and a couple of pints of… pepsi to celebrate another successful year at the club. The menu can be viewed here. The meal will need to be booked & paid for by the end of November. We would also like to invite our Wadokai friends who may decide to stay over in town and make a night of it. All of our students are welcome to join us for our FREE end of year training course. We follow on with the Shiramizu (The Karate dojo that Amy & Carl trained with for a year in Japan) tradition of doing 1000 punches – it’s not as bad as it sounds :-). Little Ninjas – please see Sensei Amy for the times of your end of year session. This entry was posted on November 23, 2014 by hartlepoolwadokai. It was filed under Uncategorized and was tagged with 2014, Competition, Dojo HQ, EKF, English Karate Federation, Grading, Hartlepool, Hartlepool Wadokai, Karate, Wadokai.